Accelerate, scratched from Saturday's Grade II $200,000 San Diego Handicap – which was won impressively by stablemate Catalina Cruiser – worked five furlongs Sunday morning at Del Mar in :59.60 under exercise rider Juan Leyva. The work was the fastest of 69 at the distance. “I had him in a minute. He went very well,” Sadler said. Sadler scratched Accelerate and Curlin Rules from the San Diego and singled Catalina Cruiser, a 4-year-old son of Union Rags who was undefeated in two previous starts for the race. Accelerate, Catalina Cruiser and Curlin Rules are all owned by Hronis Racing LLC. An allowance race which had been an optional choice for Catalina Cruiser didn't get enough entries to go, prompting the move that proved successful when Catalina Cruiser, ridden by Drayden Van Dyke, went wire-to-wire, pulling away to a 6 ¾-length winning margin that earned his second straight 107 Beyer speed figure. In the winner's circle after the San Diego, Sadler said he'd see how Catalina Cruiser and Accelerate trained before deciding upon a single entrant for the $1 million TVG Pacific Classic on August 18. Sunday morning, he indicated the nod would go to Accelerate. Curlin Rules also worked Sunday morning, going five furlongs in 1:01.60. The two winners saddled by Sadler on Saturday were Nos. 445 and 446 at Del Mar and moved him past Ron McAnally (445) into third place on the track's all-time list behind Bob Baffert (480) and Mike Mitchell (476). 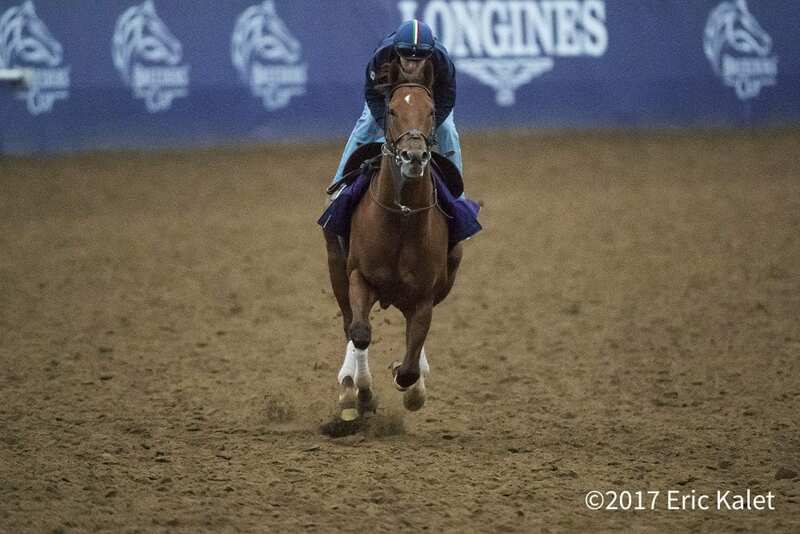 This entry was posted in Breeders' Cup and tagged accelerate, catalina cruiser, Del Mar, del mar thoroughbred club, john sadler, pacific classic, San Diego Handicap by Del Mar Thoroughbred Club. Bookmark the permalink.